Small Affordable Pours Are Our Specialty! Need a small pour? 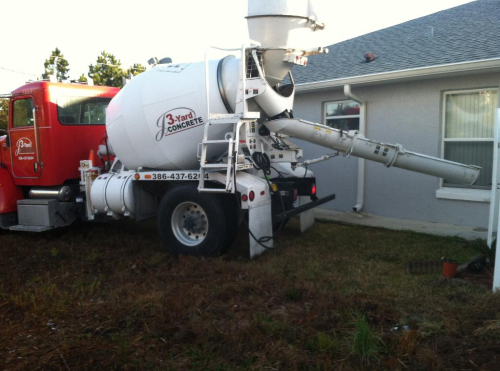 Need to get concrete in a tight spot? 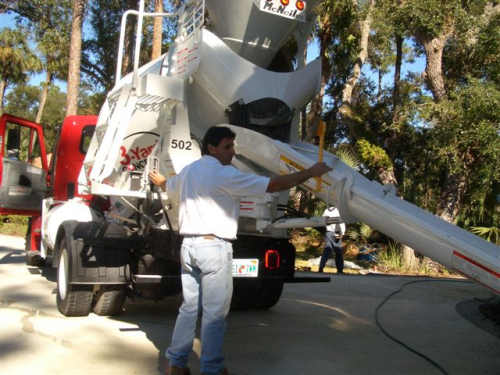 Our small compact trucks can accomplish that for you! 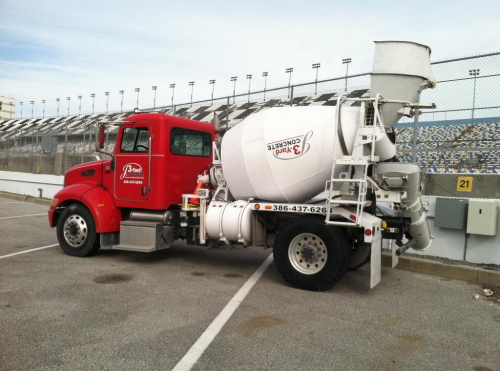 Our trucks weigh less than 26,000 pounds fully loaded, which is less than some of the bigger trucks weigh empty. 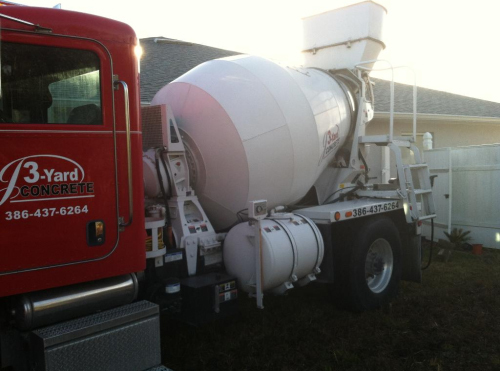 With our trucks, getting into tight spots is now made possible! 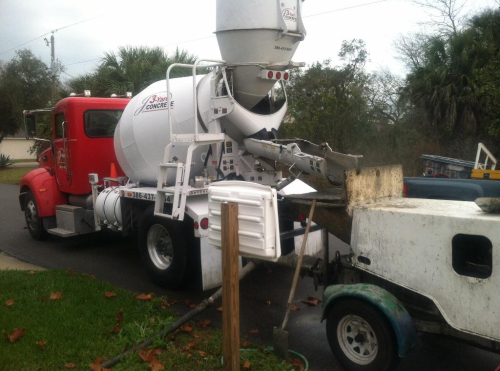 No more renting mixers you have to pull behind your own truck and then clean and return yourself. 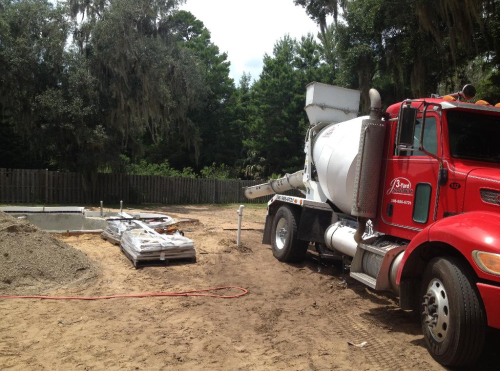 Helping the everyday homeowner, small or large contractors, our mission is to deliver whatever type of ready mix concrete you need for the job at the most affordable price. 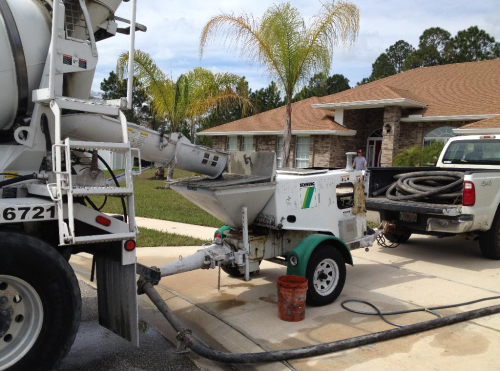 Call today --- FREE ESTIMATES! 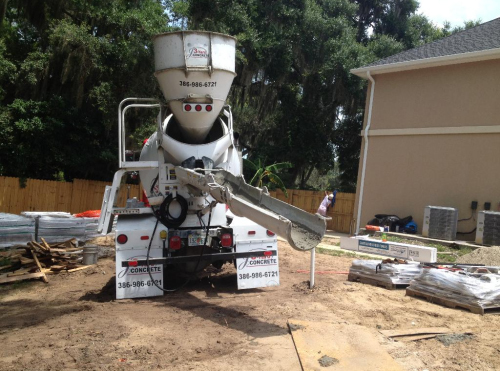 JACKSONVILLE & ST. AUGUSTINE READY MIX SPECIALISTS!